LASIK greatly improves eyesight when playing sports. Seeing 20/20 or better isn’t the only measure of good vision. Vision isn’t just one skill; it’s a set of several, including depth perception and peripheral vision. Vision skills are important in sports performance, whether you’re playing golf, soccer, baseball, basketball or racket sports. A typical eye exam doesn’t test every vision skill. Sports vision testing evaluates how vision is used while moving around outdoors and interacting with other objects and players. Hand-eye coordination, which helps athletes — including baseball players at bat — anticipate and hit a fast-moving ball. Improved depth perception to aid athletes such as downhill skiers when they negotiate turns and avoid obstacles. Eye tracking ability, which includes following and anticipating motion of a bouncing basketball. Fortunately, coaches, parents, and players now realize that wearing protective eye wear for sports pays off in several ways. The ability to see better improves performance and reduces the risk of eye damage. In fact, many athletic and fitness clubs today do not permit their members to participate without wearing proper eye gear. Sports vision tests help train athletes and improve visual function. These types of tests help develop faster reaction times and hand-eye coordination. Sports vision tests vary greatly, depending on the athlete’s individual needs. An athlete might undergo tests for contrast sensitivity, ocular alignment, eye dominance, teaming, and tracking, and depth perception. Our optometrists also test and assess visual processing speed and hand-eye coordination. Our optometrists design individualized vision training programs. The programs might address skills such as anticipating the trajectory of a bouncing ball or assuming where a fastball or a curveball will be located when it’s time to take a swing. Hospital emergency rooms treat more than 40,000 sports-related eye injuries every year. 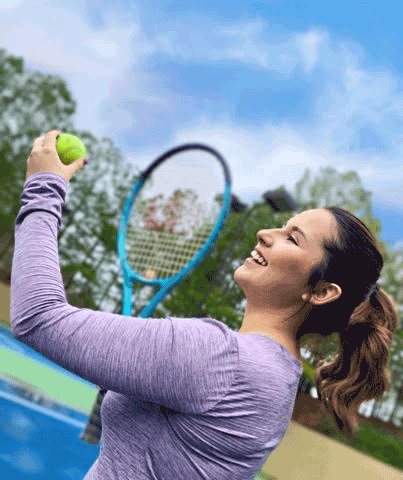 Sports such as racquetball, tennis and badminton may seem relatively harmless, but they involve objects moving at 60 miles per hour or faster. During a typical game, a racquetball can travel between 60 and 200 miles per hour. Not long ago, athletes rarely wore eyewear specifically designed to protect their eyes during sports, and sports-related eye injuries were widespread. Today, sports eyewear can be spotted on almost anyone who picks up a ball, bat, racquet or stick — whether it’s the major league or little league. Sports Vision & Sports Eyewear: If you or your child are active in sports, proper eyewear is important. 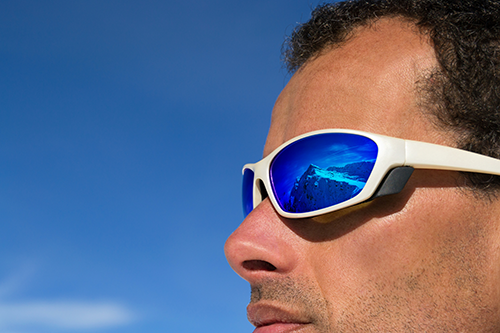 Sports eyewear improves vision and performance. You only get one set of eyes, so test them, take care of them and protect them. Call Atlanta Eye Care to schedule an appointment for a comprehensive vision assessment. Your eyes will thank you.